I am never happier than when turning the camera to my subject ...be it dog,cat,horse,bird or reptile...... it’s doing what I love, and who could argue with that? My love of animals and photography were two passions I shared with my father. Our family pets taught me about life, love and myself. My father was a photographer and I cherished my childhood weekends learning about photography and film. It was about the magic, the unlimited creativity and the visual power. Telling stories by freezing moments in time, captivated me. I was and still am emotionally attached to all my pets with a magnetic and connected closeness to all. After my final year at school, winning the art prize together with my photography submission being exhibited around Australia, in the Art Express Exhibition, I was inspired to follow my dream. I began a photography apprenticeship in the late ’80’s, working alongside various photographers both in Sydney and in London. Shortly after my time in London, my life took a few twists and turns, and after several years of following other pursuits, I came back, with more passion and more reason to tell visual stories about people and their pets. When I am photographing an Animal it doesn't feel like work, it's part of who I am. When I look through the lens I see their beauty and charisma; time stands still for me. When I am with them, creating their story in a series of images I am sustaining my own soul. I am currently working on a personal project with the aim to raise the awareness that Animals are not conditional in our ever changing lives. It was to my fathers shared skills that I owe my true inspiration to take up a serious photographic career. I would stay in our dark room for hours, carefully learning the skills required, developing and printing images captured on the streets of Sydney from inner to suburban city. In my final year at school I won the top Art prize, and my photography submission was chosen to tour around Australia as part of the Art Express exhibition. It was hard to get work as a photographers assistant, opportunities were rare and in those days it was literally knocking on doors. I started my photography apprenticeship first with well-known Fashion photographer Patrick Jones, and after a period of time moved on to work with established Architectural photographer Michael Nicholson. From there I was photography assistant to Quentin Bacon, who was photographing for VOGUE Australia, covering Fashion, Lifestyle and Food. Much time was spent on location, a demanding experience requiring much preparation and organisation with working life often running 24/7. After a period of time London called, and I began working with Food photographer Chris Knaggs. Soon after, it was clear that freelancing was a calling and I ended up working for a number of different well known London-based photographers. It was an exciting time to be in London, the era of ‘the Brand’ where heady advertising budgets created great photographic opportunities. After some years of what was a demanding and chaotic lifestyle, I returned to Australia, and for various reasons ended up in Dubai. Dubai is my home now, where I met my husband, and where I live with my wonderful family, being kept busy with all that family-work life entails. One memorable day, I was asked to document a horse show, and was reminded that photography was my life, and passion. Since then I have n't looked back. I bring to my work a new perspective after years of experience, travel, challenges and personal growth. Please browse my Gallery pages for a full range of my work. 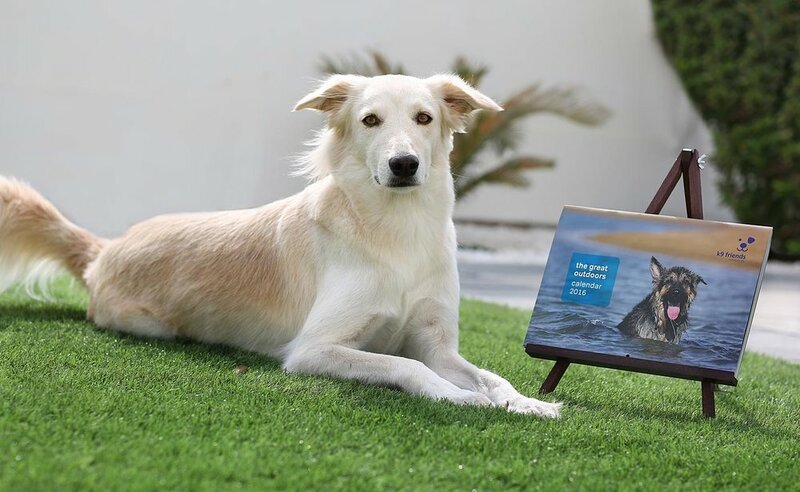 As part of my giving-back focus, I have worked with rescue charity K9Friends Dubai photographing for their calendars. All our family pets are adopted or personal rescues. Some of them are featured on my Gallery pages, dogs: Betty, Ava, and our cats: Charlotte and Garfield. These are some of the dogs I photographed for the Animal Rescue Charity K9 Friends annual calendar.